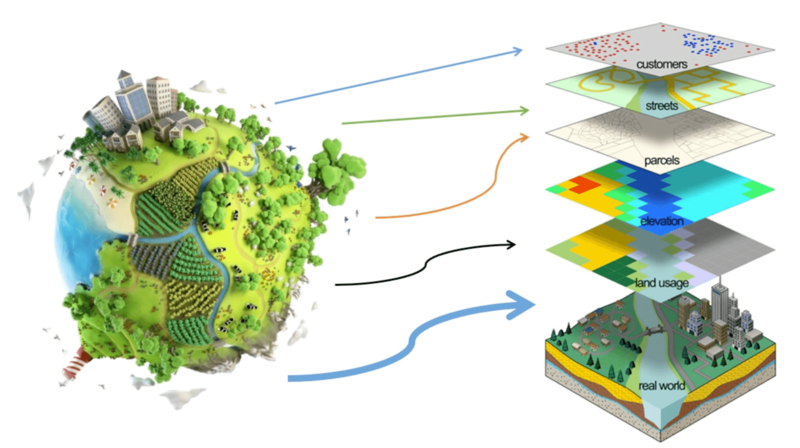 Тhe course will introduce you to the most common ideas of spatial modelling in the context of working with data for the environment. You’ll be able to see examples of analysis performed in ArcGIS and download the data to exercise yourself. It was specially prepared and contains DEM, vector layers and everything needed for better understanding how all mentioned tools work. Environmental modelling and analysis in GIS course will show you the basic ideas of spatial modelling and the most important steps you have to follow to create the best model in GIS. You will be able to see and perform on your own different analysis by using spatial data – elevation, slope, aspect, etc. You will also learn how to create hydrologically correct terrain model by using vector data and how to understand which territories you can observe while standing at one particular point. Different types of environmental data are going to be demonstrated in order to better understand how to perform the best modelling into GIS. For taking this course the students must have a basic understanding of GIS, vector and raster data, geometry and attributes. Did you ever have a problem social or economic or something else and you had spatially distributed data? Did you ever needed to take a decision having lots of data but didn't know how to extract the proper information? If yes to any of these questions, then this course is the right for you. Just check out the lessons of the course and enroll now! Lesson 2: What is spatial modelling? Lesson 6: What are contours? Lesson 12: What is hillshade? Lesson 14: What is slope?